IT'S TOFFEE'S TURN: Can Zahid Hamidi become Malaysia's Biggest Hero? He has the opportunity. Can Zahid Hamidi become Malaysia's Biggest Hero? He has the opportunity. I am republishing an article I published in July of 2016 on this blog. This report is being republished in view of the latest developments in UMNO, and if Zahid decides like Muhyiddin to play a wait and see game, thinking that Najib will not make a move to get his cousin to replace Zahid and eventually him (Najib himself) he must be really foolish and proves what I said in this article in July of 2016. "All said and done this man is not of that pedigree, he does not have the mental capacity to think strategic, he does not bother about the nation building either, all he is bothered about is himself and his own vested interests, because if he really cared about the nation and national interests he would have teamed up with Muhyiddin at the very onset and removed Najib." Hishamuddin is certainly being readied to take over from Zahid, it will take only a few months to get it all readied, and a few more months to get the calm back in UMNO. 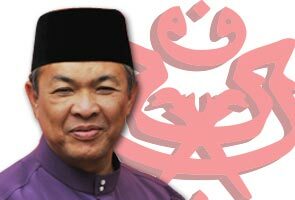 UMNO will not fall it is a party where members are all reliant on the party and no matter how big Zahid is, he will fall out of grace days after he is thrown out of UMNO, leaving Muhyiddin aside, if Anwar was forgotten so soon what is Zahid. Now the question is: Can Zahid play the role and be a Malaysian Hero? In his latest move, the appointment of Hishammuddin Hussein as a special functions minister in the Prime Minister’s Department, close Najib loyalists say that, Najib has been embarrassed by Zahid's ignorance of political issues both domestically and Internationally more than just once and has been forced to institute new measures to get worthy successor. "it's not all lost for Zahid, he cand redeem his future if he shows real improvement, but the view of Najib and his top advisers is that Zahid is not the man for the job. 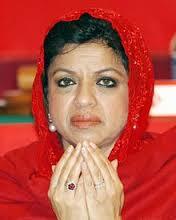 :"
It looks like inaction on the part of Zahid will lead to him being sidelined and consequently being cast into limbo. Has he got the guts? Is he Jantn enough? Very honestly I'd say he has no choice but to go for the juggler. ALL HE HAS TO DO IS TO TURN ON NAJIB SWIFTLY WITH FULL FORCE. If he does even the die hard DAP supporters will vote for him, he'll outdo any PM in Malaysian History when he goes to the polls, but I think he lacks the mindset to act strategically. Can he remove Najib before Muhyiddin does? Zahid Hamidi could become one of Malaysia's greatest Prime Ministers and he could steal that from right under everyone's noses of everyone by just getting Najib arrested, investigated to the fullest extent of the law and charged. The entire process has to be transparent and every Malaysian should be given the opportunity to know what is really happening, that way he will be seen as the savior of the nation. In the process he can also get Mahathir to shut up and stay out of politics, he has to bring in ministers of value, people who are academically and professionally qualified and experienced and most importantly men with unblemished integrity. It will not be an easy task for Zahid but it will not be too difficult either given his position as Minister of Home Affairs and the Deputy Prime Minister, he has to have the Police Chief and the Immigration Chief on his side, in the process he has to watch carefully the armed forces as it is under Najib's cousin Hishamuddin, the two departments the Police and Immigration come directly under his Ministry and if he proceeds along this path he will ahve to be wary of the Police Chief, he will have to neutralise him. He needs the Immigration to ensure that all exits are locked once he launches the takeover. This must not be mistaken to be a coup it is not as it will be done in accordance with the law. Zahid does not have to worry about Muhyiddin, because with such a move he will be seen as the more capable of the two to lead, and the entire country will back him from the onset except for a handful from Pekan perhaps. Muhyiddin could have suceeded on this score but Muhyiddin lacks the strategic mindset so it did not materialise, Najib's advisers on the other hand neutralised Muhyiddin and took down the Attorney General. After all Zahid has the biggest support in UMNO and that has been tested by way of the UMNO elections, Najib has hardly stood on his own steam in any UMNO election since the day he joined UMNO, it was either Mahathir's or Anwar's patronage that has seen Najib through, on his own Najib is dispensable and has no grassroots support, for him now it all about money, he said so too, he said the money in his account was for the elections given by super rich Saudi. Malay street comedians have a hey day imitating the way Najib speaks, gestures and even looks round, he is a joke for many Malays and that is why Malay artists are quick to draw him, make songs about him, remember the Kangkung song, make jokes about him too. 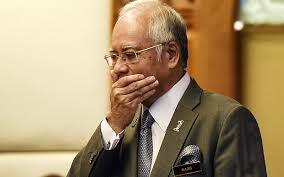 Najib is the clown of UMNO, and the Nero of Malaysia. Once Zahid moves in and takes over he will have to speedily take on the task of spring cleaning UMNO and getting rid of money politics, many Malays who have quit UMNO and joined PKR and PAS will then return to a clean UMNO. One thing he can be sure of, is that he will win the confidence vote of the majority of Chinese if he seriously takes on Najib and his henchmen, he will not only get the Malay vote but he will certainly be doing the MCA and the Gerakan a big favour and will out perform both Najib and Abdullah at the next elections and I dare say he will come close to get what Mahathir got the firt time he faced the people. On the other hand he can choose to remain a good and loyal servant of Najib and in so doing he is putting a noose around his own neck. I suspect that is exactly what he will do till it is too late. Power is not in the office of the Prime Minister but with the people, many a ruler, Prime Minister and President who have used the power vested on them by the people for the wrong reasons, have learned that lesson and most a bit too late and have lived and died to regret it. Some recent examples were even much stronger than Najib, Gadaffi and Saddam Hussein are good examples. This is the hour and the moment when Malaysia needs a real hero and the only person with that opportunity now is Zahid Hamidi that is if he knows what opportunity is, he had better take before Najib makes that obvious move. If that happens all the chances Zahid has got at present goes flying out of the window, there are people in UMNO who are maintaining an eerie silence, we do not hear much from the likes of Khairy Jamaluddin and even Sharizat except for a bark or two every now and then from the head of the women's wing, trying to convince Najib she is still with him, for she is after all a Mahathir supporter and looks on him as a fatherly figure the man who brought her in and a clansman. Sharizat will play with the wind she is an absolute lalang, Khairyy is an opportunist and is waiting to see which way he should play his cards unlike Nazri of course who has no love lost when it comes to Mahathir, he hates Mahathir and the feeling is actually mutual so he will throw everything he's got behind Najib and possibly turncoat if he sees the tide in favour of Zahid. So Zahid has actually to pounce on the moment for once it passes him by, it passes him by forever, for after all in politics there are no permanent enemies and permanent friends and strategic alliances can be struck within very short periods even between enemies. All said and done this man Zahid is not of that pedigree, he does not have the mental capacity to think strategic, he does not see the obvious with Najib's present move on Hishamuddin, he does not bother about the nation building either, all he is bothered about is himself and his own vested interests, because if he really cared about the nation and national interests he would have teamed up with Muhyiddin at the very onset and removed Najib. Going by that alone Zahid will never become the Prime Minister of Malaysia and neither a Malaysian Hero. I disagree with your idea on how Zahid can be the next PM and a Malaysian hero because the mechanics and chain of events you described are too simplistic. Najib has the power of OSA, NSA and SOSMA, remember? Don't forget that the IGP and AG are his lapdogs and he seems to enjoy the support of the royals. More importantly, Zahid lacks the intellect of a cunning strategist. He's a pure amateur and only good at showing a tough and confident exterior but without anything to back it up upstairs.